BALDWIN PARK, CA (July 5, 2011) – CyberPower Inc., www.cyberpowerpc.com, a leading manufacturer of custom gaming PCs, today announced a series of desktop gaming PCs based on AMD’s new A-series desktop platform featuring all new APUs (Accelerated Processing Units), which integrates the CPU along with the fastest onboard GPU and memory controller into one die to offer low power consumption and high performance at a low cost. CyberPower Inc. www.cyberpowerpc.com was founded in 1998 and has emerged as one of the leading custom computer system manufacturers. Headquartered in Baldwin Park in Southern California, CyberPower manufacturers and distributes a complete line of custom built gaming desktops, gaming notebooks and high performance workstations to meet the unique needs of gamers, businesses, government agencies, educational institutions and other end-users. 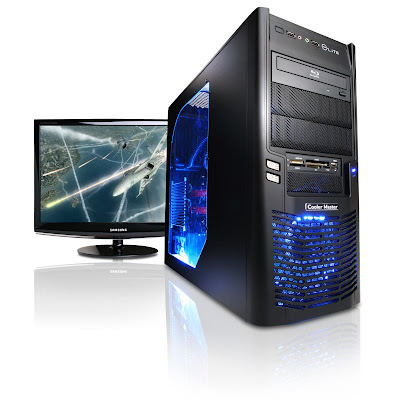 For more information contact: Sales (800) 707-0393; Email cyberpower@cyberpowerpc.com.